A Month-by-Month Guide to Seasonal Eating | Slow Living LDN. Seasonal eating means buying and cooking fresh food that is at its best at a particular time of year. Of course, most of us would struggle to be without bananas and other foods that can’t be produced in the UK, are grateful for the vast choice we have and find it important to support Fair Trade producers. However, there are still many reasons to try and eat more seasonally when it comes to the produce we can grow over here. After sharing these seasonal eating motivations, we list what’s in season with a rough month-by-month guide to fruit and vegetables in the UK. Remember that the seasonal periods can change slightly each year due to the weather and many local foods can be stored to be eaten later. Eating food that can grow naturally at a certain time of the year in the UK can help to reduce food miles. While it’s claimed that meat and dairy farming produces higher CO2 than food miles, it’s still worth looking for a local alternative where possible. As locally grown seasonal produce is harvested at the optimum time and eaten sooner, it’s often more nutritious. Senior nutrition scientist for the British Nutrition Foundation, Ayela Spiro, explains that fresh fruit and vegetables “can spend weeks or even months in transit; refrigerated lorries and chiller cabinets slow down the spoiling of produce rather than preventing it.” Eating or freezing produce soon after it’s picked can help maintain nutrients and taste. However, older fruit can still be put to good use and edible food should not be wasted. In 2012, the government reported that just 23% of the fruit and vegetables bought were produced on home soil. 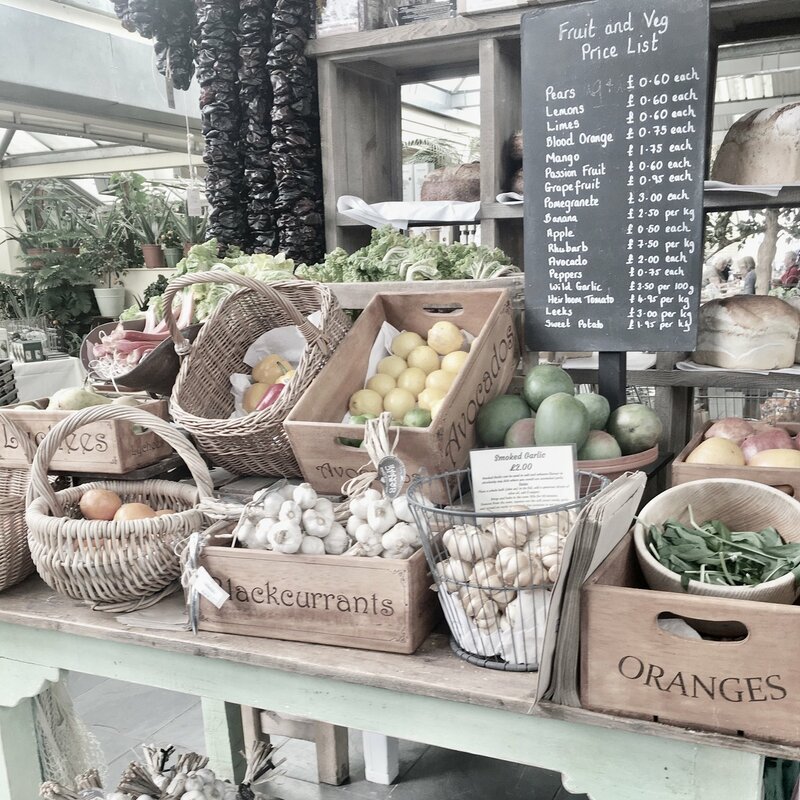 Of course, we can’t produce everything in the UK, but eating seasonally helps to support local producers and celebrate British ingredients, while helping more money to be invested back into the local area. There are many reasons to cook from scratch, including slowing down and enjoying a mindful activity after a busy day, placing more importance on family mealtimes and eating fresher, less processed foods. Eating seasonally encourages creativity in terms of trying new recipes and new ingredients. What’s in Season in the UK? Find more inspiration on sustainability.